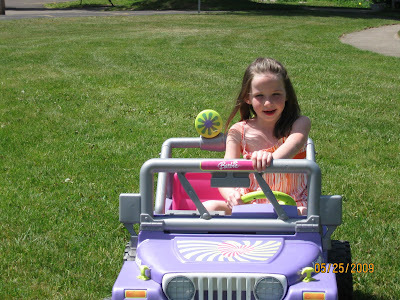 My niece Mic on her Barbie Car driving around in a spacious front area of the house. 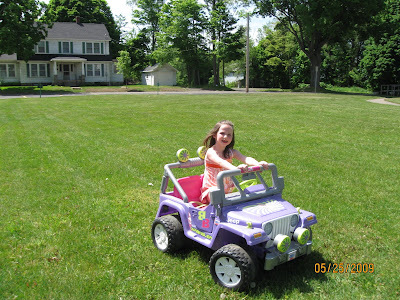 She loved to drove around on her Car and even invited me to try but there is only certain weight capacity for the car. So I am exempted instead end up taking pictures of her while there.